Dr Guiseppe Iannella has developed Asinino Reggiano cheese – made from donkey milk. It bears the name Asinino Reggiano, and is said to taste of barley, coconut, almond and hazelnut, with a slightly wild aftertaste. 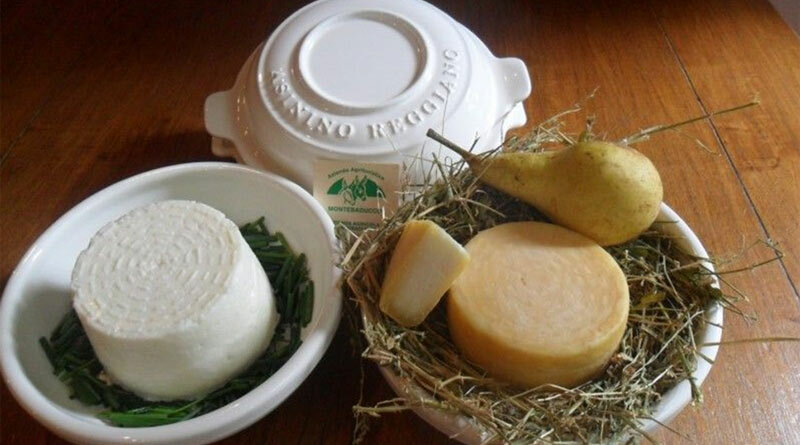 The fresh cheese is tender but, once seasoned, it hardens, taking on a consistency similar to parmesan. But, perhaps most remarkably, it is made from 100 percent donkey milk. Milk from donkeys and horses has long been considered unsuitable for cheese production because, unlike other milk, no curd is formed with the addition of common rennet. This lack of curdling is because of low levels of k-casein, a milk protein crucial to the cheese-making process. Donkey milk, under the action of common bovine-based rennet, forms a very weak gel compared to the gel formed from cow’s milk. Mare’s milk shows no gel formation at all. However, a pioneering technique developed in Italy in 2014 by food technologist Dr Giuseppe Iannella has changed all that. He discovered that camel chymosin – the enzyme found in camel rennet – is able to effectively clot equid milk if performed through what he describes as an appropriate technological process. It has been named the Nativity-Equid cheese-making method. Iannella went on to develop the recipe for the first 100 percent donkey cheese. The result is the Donkey cheese of Montebaducco, or Asinino Reggiano. It was first presented at the Milan Expo in 2015 and hailed as a great success for the Italian dairy sector. Ianella said the ingredients comprise whole donkey milk, camel chimosin, lactic fermenting agents and salt. The cheese is ivory white when fresh, but develops a yellow peel as it seasons. The cheese is being produced by Azienda Agricola Montebaducco, owners of the biggest donkey farm in Europe and specialists in donkey milk since 1990. “Finding the right recipe and packaging of donkey cheese took time,” company spokesman Davide Borghi said. He said donkey milk’s yield was low when used to make cheese because it contained little fat and casein. However, the company believed it had a bright future in the market because of its unique characteristics. Dr Iannella, discussing development of the technique that gave rise to the cheese, said he found that only pure camel chymosin was able to effectively clot donkey’s milk. However, it had to involve a process that excluded pasteurization, and even lower levels of heat, otherwise the milk would not curdle. Until his discovery, the only cheese-like product able to made from donkey’s milk was a ricotta style produced through thermal acid coagulation. However, even this did not have the structure or characteristics of cheese and did not fall under the conventional definition of cheese, which results from the simultaneous action of a milk clotting enzyme and lactic souring. Iannella says the process he developed will enable the production of a variety of donkey cheese, ranging from soft to hard consistency, with different degrees of ageing. There will also be a version suitable for use as melted cheese. Estimates suggest that more than 30 million people worldwide drink equine milk regularly, with that figure increasing significantly each year. Asinino Reggiano cheese is made from 100% donkey milk. Reviews point to donkey milk being used successfully as a substitute for human milk in some parts of the world. It has low levels of protein and fat but was high in lactose, which aids palatability and mineral absorption. Horse milk and donkey milk have also have been used as an alternative food for infants with food allergies, most often for those with moderate cows’ milk protein allergy. However, tolerability must be tested first. Traditional fermented horse milk beverages, known as airag and koumiss, are popular in Eurasian steppe areas. Koumiss is used in Russia and Mongolia for the management of digestive and cardiovascular diseases. Iannella notes that although horses are of minor importance for milk production in comparison with cows, buffalo, sheep and goats, they have traditionally been important dairy animals in Mongolia and in the southern states of the former Soviet Union, such as Kazakhstan, Kyrgyzstan and Tajikistan. Cheese-making, considered an important method for preserving milk, represents one of the earliest biotechnological applications of enzymes, previously referred to as rennet.